When I headed back to my mum’s house for Christmas, she had a surprise for me. We met in Chichester and, before driving to Bognor Regis we made a bit of a detour… to Portsmouth! 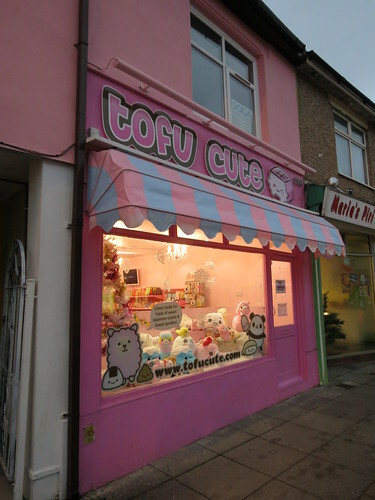 Tofu Cute, one of my HYPER JAPAN favourites, have just opened their first physical shop and it happens to be in Portsmouth, right near where I used to work when I was a student (なつかしい！). Arriving at the shop, I have to confess I was a little bit excited! It was just so pink! 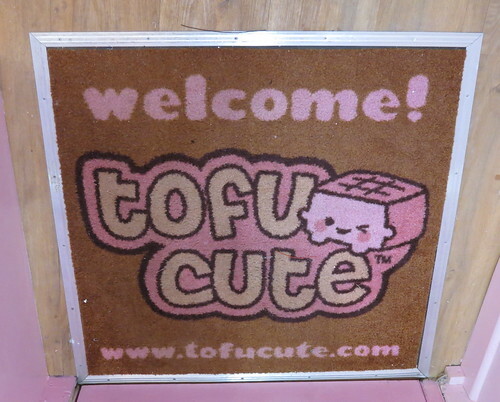 ‘Come in’, you say? Oh go on then! 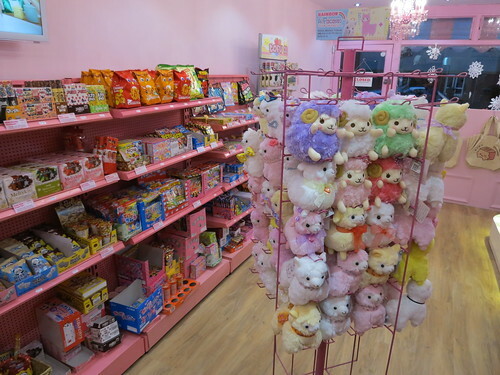 The shop was a kawaii overload! 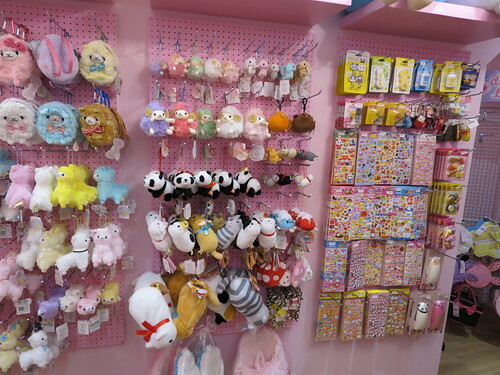 Everything was pink, and there was a TV screen playing Japanese TV ads (followed by Mameshiba clips! 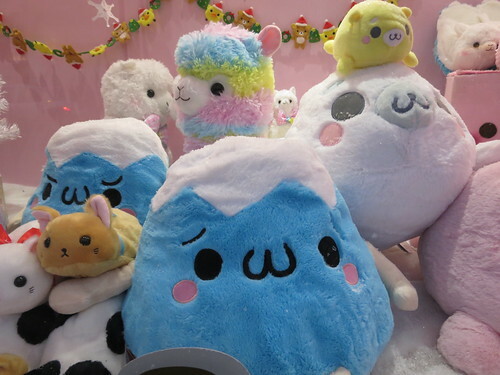 ), adding to the general Japanese ambience. 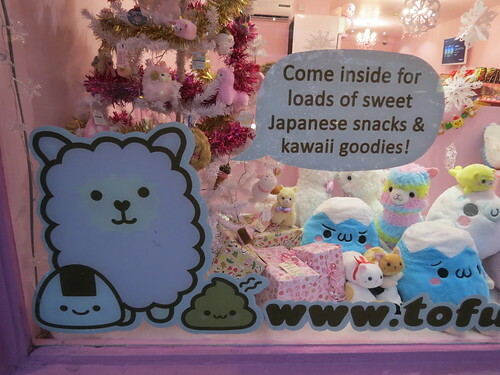 This was like a mini HYPER JAPAN, with all the Japanese sweets and cute fluffy things you could possibly want! Pink chandelier – nice touch! 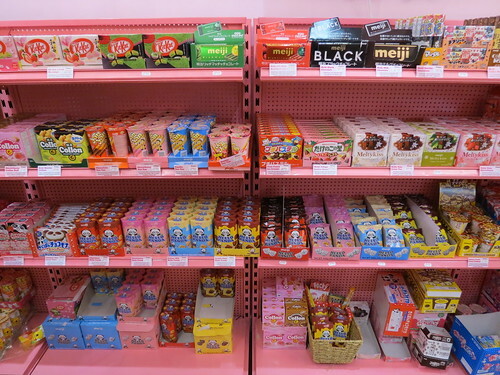 Candy, candy, candy, candy, candy, sweetie, sweetie, girls love! 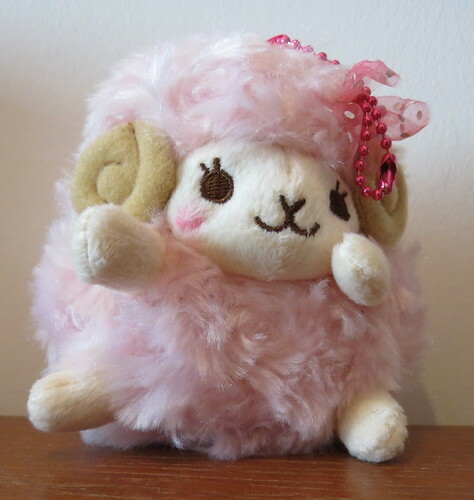 Adorable pink sheep, as 2015 is the year of the sheep! 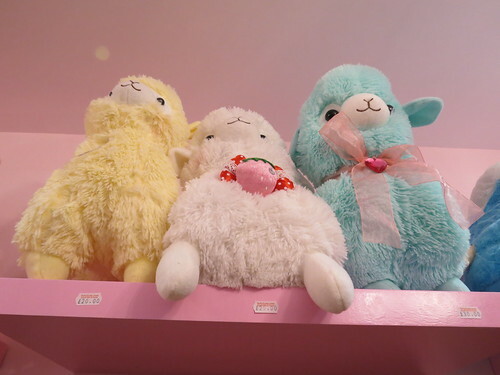 that’s really cute. 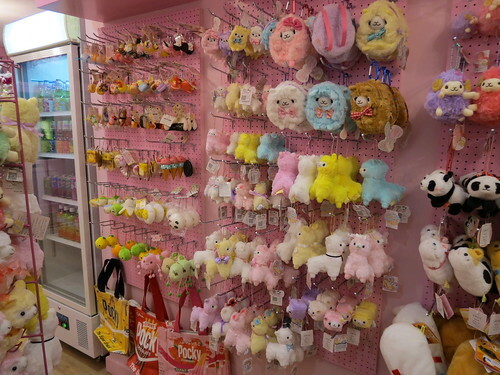 In Indonesia here we have stores that sells cute japan merchandise like that, I just love being inside the store and looking at cute stuff. 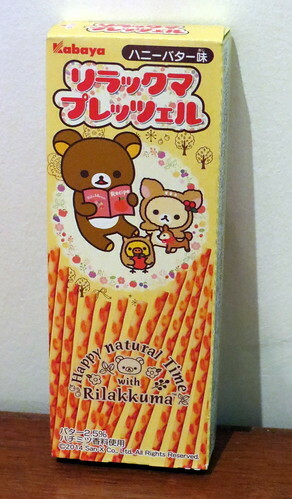 The japanese various version of snacks such as kit kat’s and pocky’s also very popular here. 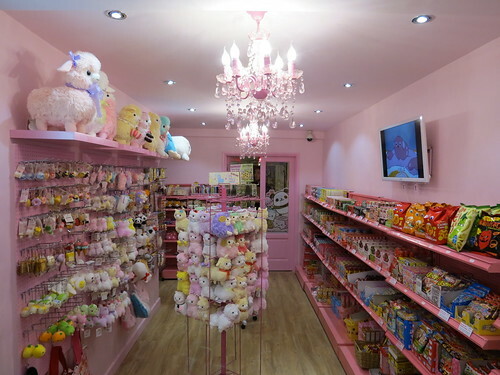 Oh my gosh I love this shop already and I haven’t even been INSIDE YET!! I have to visit Portsmouth soon!! !